To navigate through the years, use the Archives box on the right. 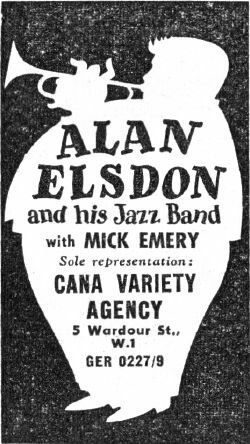 December 1960 will give the complete listing for that year. Comments have now been disabled. 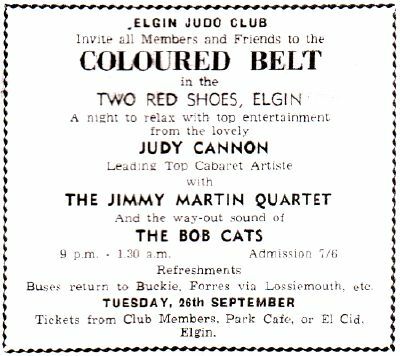 Any images or information relating to the Ballroom, the bands that played there or Albert Bonici would be much appreciated. Mail me: info@rockmine.com. 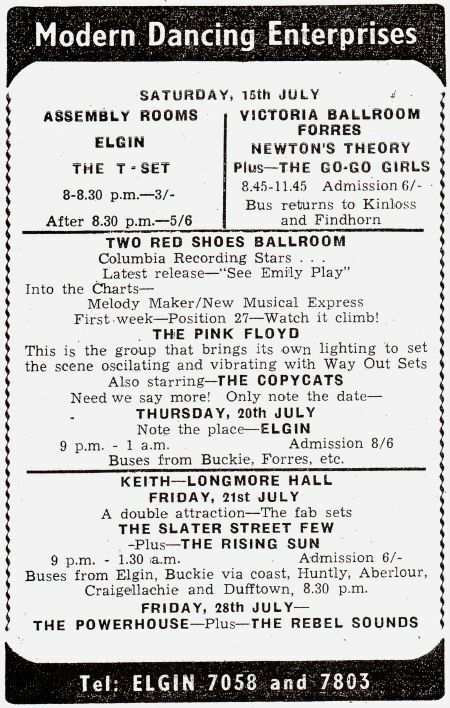 Elgin Courant for Wednesday, July 27 announces that as of Friday 29th July, the big centre for the Friday Night Beat Scene is now Keith. 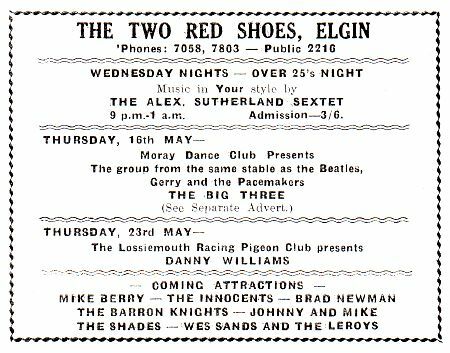 Whatever Albert Bonici’s reasons were for moving the Thursday headline acts from Elgin to Keith it was a sign of problems with the Two Red Shoes. 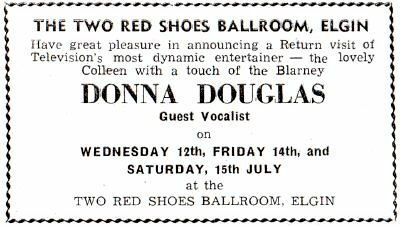 The Ballerina Ballroom had opened in January and already it had taken over from his Elgin venue. 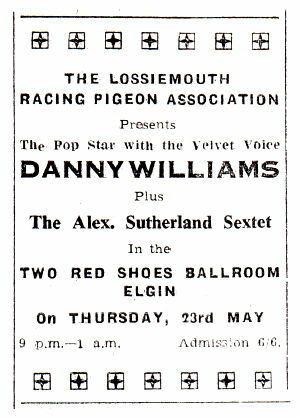 Why this should have been the case is anyone’s guess, Nairn had a much smaller population than Elgin and Keith’s was smaller still. 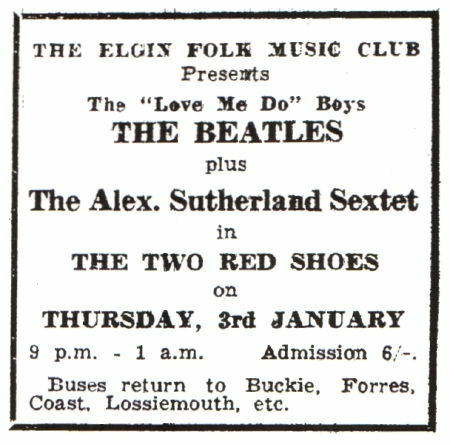 It has been suggested that Elgin was in the grip of a serious gang problem and it was no longer safe for dancers to come from places like Forres despite buses being laid on. 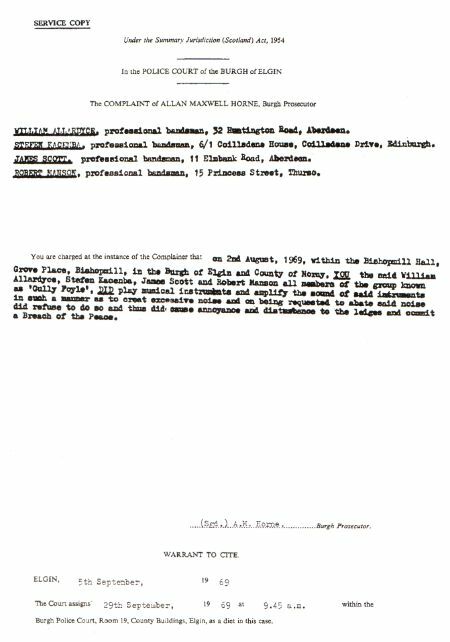 Any insight into this would be most helpful. 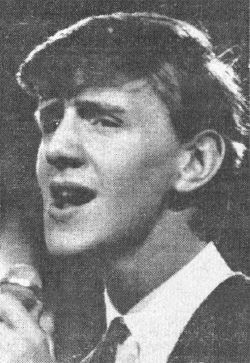 October 06 – For the Jet Set and High Camp followers, it’s Teen-Beat starring The Flintlocks. 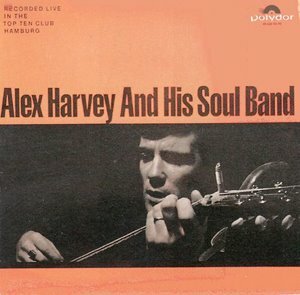 The fabulous Australian group now touring Britain with their own “Down-Under” sound.